When engineers are immersed in medical problems, it’s a strong step toward engineering-infused solutions. Bioengineering at Illinois is working toward a curriculum overhaul that provides clinical experience for students early in their education, allowing them to engage with health care challenges and propel them to imagine the possibilities that can come out of engineering-based solutions. When engineers are immersed in medical problems, it’s a strong step toward engineering-infused solutions. Bioengineering at Illinois is working toward a curriculum overhaul that provides clinical experience for students early in their education, allowing them to engage with real-life health care challenges and propels them to imagine the possibilities that can come out of engineering-based solutions. Funded by a $2 million grant from the National Science Foundation’s Revolutionizing Engineering Departments (RED) program, At the time the RED grant was awarded in mid-2016, Illinois was the only bioengineering department to receive the funding, allowing the Urbana-Champaign campus to take a leadership position in shaping bioengineering education. 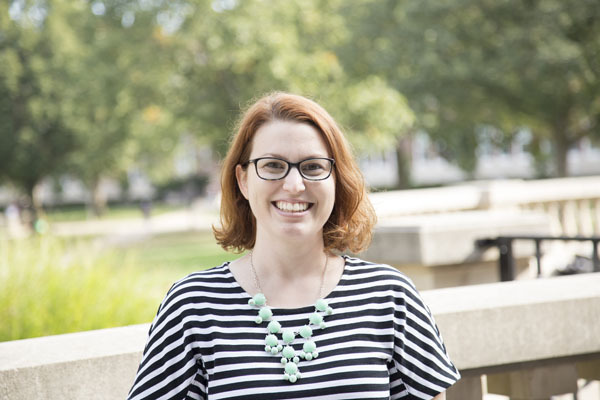 Carle Illinois’ Jenny Amos, Director of Evaluation and Student Assessment, is one of the principal investigators on the RED grant. Learn more about the curriculum-building process and student experience by reading the full story here.